At Faithful Parenting, we'll give you extra tools to support your child as they grow in faith. We will have 3 workshops on 6/24, 7/22, and 8/19 for parents will meet from 4:00-5:30 in the youth attic; activities will be provided for children under 5th grade while parents are in the workshop, and dinner for everyone will be served at 5:30 pm. 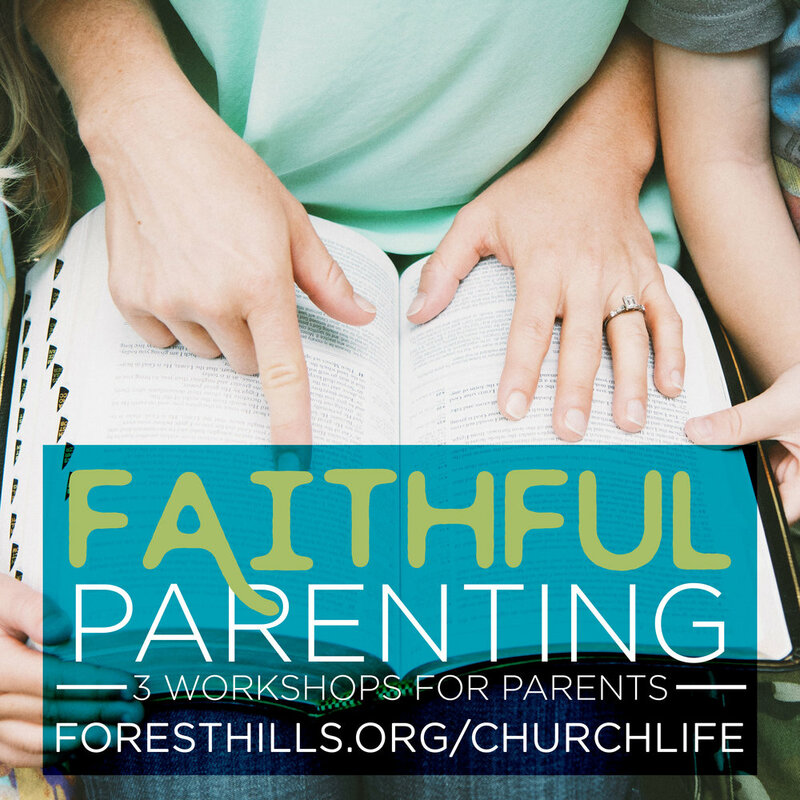 See the list of workshops and sign up at foresthills.org/churchlife.